Convenient parking is available for Pikes Peak Center. Refer to the map for more information on nearby parking, including rates, hours of operations, and entrances. The Pikes Peak Center is a quality entertainment, cultural, educational, and assembly center located in the Pikes Peak Region. 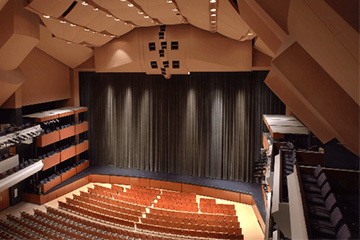 Built in 1982 to serve as a regional entertainment and cultural center, Pikes Peak Center has achieved international acclaim for its architecture and acoustics. The Center hosts approximately 200 performances each year, including Broadway at Pikes Peak Center and the Colorado Springs Philharmonic.